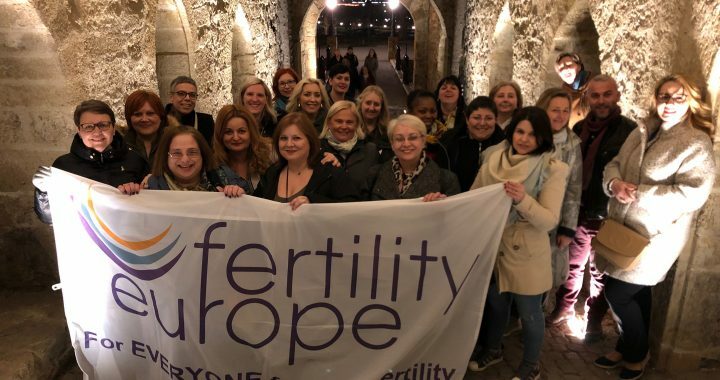 Last week, 27-29 March 2019, Fertility Europe had our annual Spring Meeting. This time we met in Belgrade, Serbia. We have selected Belgrade, as our member association Sansa za Roditeljstvo invited us to come and help to raise awareness of infertility and improve the provisions for treatment of patients experiencing infertility in their country. 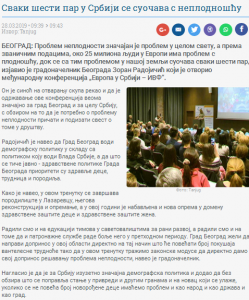 Before we get to work on Fertility Europe’s matters, Sansa za Roditeljstvo invited us to the conference ‘Europe in Serbia – IVF’ – an event with many doctors, politicians, press and patients’ representatives, who all took part in a discussion about the situation of infertility patients in Serbia. We also watched very moving film, made by Sandra Jovanovic, with amazing testimonies of couples talking openly about their infertility journey; and admired an exhibition of photographs ‘Infertility hurts’ prepared by our host association. 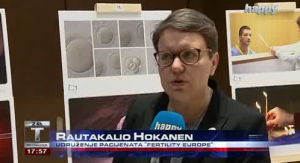 The event had very good press coverage and representatives of Fertility Europe gave many interviews about our mission and activities, as well as about the situation of infertility patients in Europe. The agenda of Spring Meeting is always busy, as each Members meeting is our wonderful opportunity to discuss plans and projects on the European and national level. This year our agenda got even more busy with all day training on fundraising for patients organisations. Our member associations are so full of ideas and enthusiasm to support infertility patients, so this training was aimed to help them obtain efficient funding to be able to implement their projects. Other items on the agenda included planning for the ESHRE congress in June with our usual Patients Session and new ways to present infertility patients needs; European Fertility Week 2019 in November, preparation for the European Parliament election in May 2019, and many discussion on best practice and biggest challenges for our member associations. It is always wonderful to work together and be with work colleagues, who over the years (and it is 10th anniversary this year!) become friends! Thank you and see you soon!